Investors looking to add private debt and private equity to their portfolios may feel overwhelmed by all the choices. From peer-to-peer lending to crowdfunding, there are countless industry players across a wide range of alternative lending and financing models, serving everyone from individual borrowers to small and medium-sized businesses. Any funding model ultimately comes down to matching the needs of those who want capital with those who can supply capital. Typically, banks or other large financial institutions would act as the intermediary between investors and borrowers or entrepreneurs. But with many banks pulling back after the financial crisis, and the internet making it easier than ever to play matchmaker, the alternative finance universe is attracting more and more capital. However, there is still broad-based confusion among both institutional and retail investors about the differences between the various alternative funding models. This confusion is exacerbated by how often the terminology is used interchangeably in the media and the larger financial community. The truth is that each funding model has distinct nuances, rewards and challenges, and it’s important for investors and their financial advisors to understand the differences before incorporating alternative lending or financing into an investment portfolio. In general, these models can be broken down as either debt or equity investments, with a similar risk-reward profile as any other debt or equity investment. In a peer-to-peer (P2P) lending model, an individual or business borrows from an outside source or sources – a “peer” – rather than a bank. This process is facilitated through a third party, such as an online platform, which makes it easier to aggregate enough peers to fund the loan. These loans typically come with fixed terms and set repayment schedules. Many loans will also include details about the borrower—such as their income, credit score, occupation, and risk level—to help the “peers” (or lenders) determine whether to fund the loan and at what amount. Examples of peer-to-peer loans include consumer loans, student loans, small business loans, and fix and flip loans on single family homes. Investors can get into the peer-to-peer lending market by purchasing the whole loan, a fractional interest in a loan or building a portfolio of fractional and/or whole loans. Investors then collect the proceeds of each loan payment, with the peer-to-peer lender taking a fee to cover the costs of running the platform. While even the most creditworthy borrowers may default on their loans, investors can mitigate this risk by building a diversified portfolio that includes multiple loans across different risk spectrums. Investors should also consider if the P2P loans they are investing in are unsecured or have some form of collateral securing the loan. Consumer and student loans tend to be unsecured, while small business and fix and flip loans tend to be secured. Marketplace lending is another term used to further describe peer-to-peer lending. While the two terms are used interchangeably, an important differentiator is the source of capital. Whereas P2P lending platforms tend to rely on a group of small retail investors or large institutional investors to fund loans, marketplace lenders prefer to first pre-fund loans and then offer them to investors. The marketplace lending model, therefore, offers qualified borrowers a guarantee that their loan will be funded within a specific timeframe, which may be an important consideration for some borrowers. For example, while a consumer borrower may be willing to wait until his loan is assessed and funded by multiple peers, a borrower looking to finance a real estate transaction has a closing date that must be met otherwise he will lose his down payment. In contrast to marketplace or peer-to-peer lending models, a direct lender will rely on its own balance sheet or proprietary access to funds as its primary source of capital. Instead of having to find enough retail and institutional investor capital to match the needs of borrowers, a direct lender can look to its unrestricted access of funds before making a lending decision. 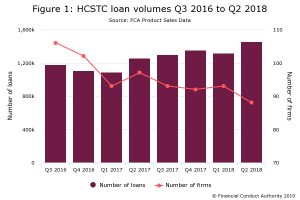 The advantage of this approach is that the direct lender is better positioned to survive a potential downturn since each of the loans on its balance sheet represents a piece of collateral that can be used to offset any potential losses. Investors in these loans will therefore have a better opportunity to allocate capital in all market cycles. Many direct lenders may also manage a fund for accredited investors that consists of a portfolio of some, but not all, of the loans made by the lender. In the crowdfunding model, investors are given the opportunity to provide seed capital in up-and-coming products and businesses. Capital is provided in several forms including equity, preferred equity, mezzanine debt and senior debt . While equity stakes are typically small—often less than 1%—even a modest upfront investment can generate a large eventual payoff if the company is successful. This is particularly true of technology start-ups, which can grow quickly if their product or service is well received among customers. This model is also popular in the arts and entertainment industries. For example, people might choose to fund an independently produced movie, music album or play in exchange for a small piece of revenues and/or additional perks like attending rehearsals and premiere parties, meeting the artist, or receiving a memento from the set. In real estate, crowdfunding is most typically used by developers seeking to raise money to fund development or redevelopment projects. Investors should find out if the crowdfunder is providing equity and debt on the same project. This is critical should a recovery plan need to be put in place if the project does not go as expected. Typically, equity investors want to hold on and wait for an increase in value , while debt investors want to liquidate immediately in hopes of recovering their investment. A crowdfunder that is representing both equity and debt investors in the same project will have a conflict of interest. In addition, these investments also tend to be fairly illiquid, so investors should tread carefully. While these early stage equity investments could potentially pay off handsomely, there’s always the risk that the company or project is a flop. An initial coin offering, or ICO, is a brand-new type of funding model that is attracting many of the same types of companies that previously relied on crowdfunding. However, instead of acquiring an equity stake in the company, investors in ICOs receive cryptocurrency coins, like Bitcoin or Ether, which are redeemable for cash on certain exchanges. The idea is that as the company grows and becomes more valuable, the coins will also become more valuable. Since ICOs are still loosely regulated, investors should take extra precautions when evaluating a crypto-related investment opportunity. While a business idea may sound great on paper, investors should look for growth signs like recurring revenues and a large potential market. These five models only scrape the surface of the full universe of funding options for individuals and businesses. A company or a funding model doesn’t always fit neatly into a box either, and investors should take care to understand how each funding platform generates revenue and where its capital comes from. When choosing which segment of the market to pursue, investors and advisors should also consider their risk tolerance, which will help determine whether a debt or equity investment is most appropriate, and at what scale. Evan Gentry is the Chief Executive Officer and Founder of Money360, a tech-enabled direct lender specializing in commercial real estate. As the CEO, Evan oversees the overall business strategy, operations and strategic partnerships, and long-term vision of the company, which has revolutionized the commercial real estate financing model by providing more transparent and efficient lending. With over 20 years of experience, Gentry is an entrepreneur and innovator with a strong background in the application of technology to the real estate, lending and investment industries. Prior to the creation of Money360, Gentry founded two highly successful real estate investment and finance firms, G8 Capital and MoneyLine Lending Services.